New Jersey Gov. Phil Murphy is calling for an extension of the Delaware River Basin’s fracking ban – prohibiting not just fracking, but all related activities as well. 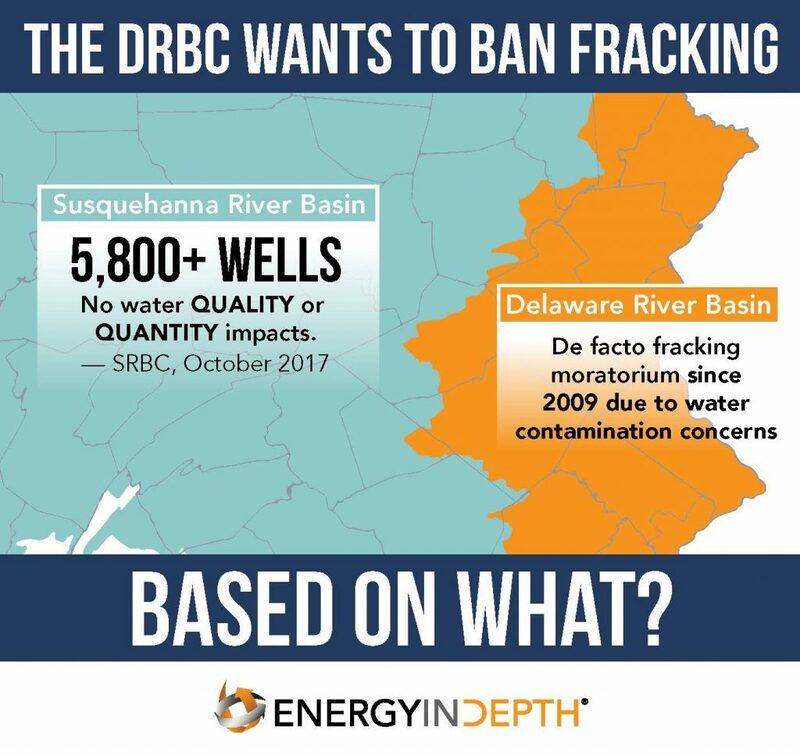 Murphy claims that fracking poses an imminent threat to water in the basin (which includes parts of New Jersey, Pennsylvania, New York and Delaware), and has pushed his fellow governors on the Delaware River Basin Commission (DRBC) to join him. Fracking and related activities do not pose a threat to the water supply. Limiting natural gas development threatens consumers with higher utility bills and less reliable heat, a dangerous combination during deep freezes like the East recently experienced. Proponents of the fracking ban, including Murphy, assert that fracking not only strains the water supply, but pollutes groundwater as well. Fracking accounts for a very small portion of water usage in the United States. An illustrative example can be found in the nearby Susquehanna River Basin, which allows fracking on the Marcellus Shale. In 2015, electric generation used 95.5 CUs of water in the Susquehanna River Basin, while fracking used 27.2 CUs – a significantly smaller number. Notably, the Susquehanna River Basin’s water quality has not been degraded by more than a decade of drilling there. Natural gas usage in the United States has increased by more than 17 percent since 2007. In Murphy’s own state, natural gas accounts for 58 percent of net electricity generation, and three quarters of households use the fuel for their primary heat source. Since 2008, natural gas has also become an increasingly affordable necessity. Natural gas prices have dramatically fallen – from over $8 per million Btus to less than $3 today, making cheap energy available to all.